Adrián Villar Rojas, Today We Reboot the Planet, 2013, unfired clay, mixed media. Installation view, Serpentine Sackler Gallery, London. Photo: Jörg Baumann. 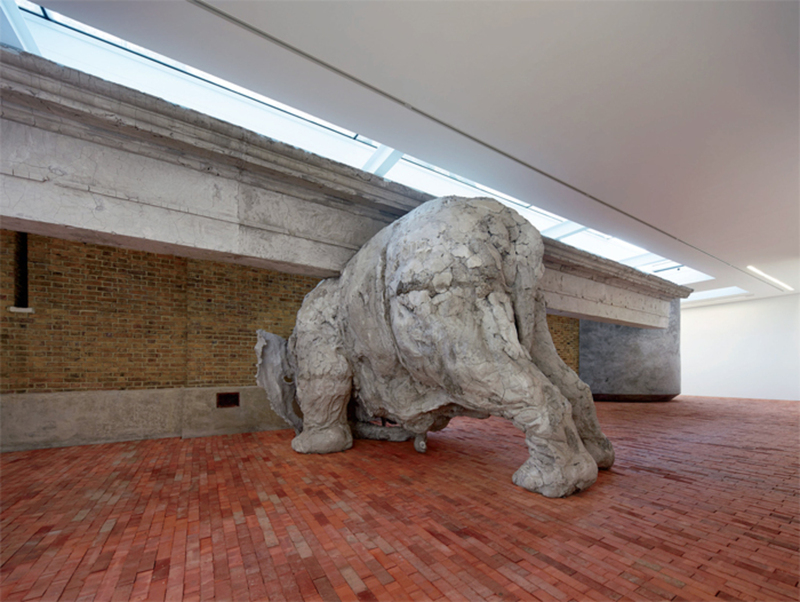 ADRIÁN VILLAR ROJAS’S ANTIMONUMENTS seem always to exist in the aftermath of catastrophe, conjuring a sense of dark ecology and yet also of lively, vibrant matter. They evince a cosmic expansiveness of vision, such that distinctions between institutions and places cease to seem germane. Perhaps this is why I find it impossible to discuss one of Villar Rojas’s exhibitionshis recent show in London at the Serpentine Sackler Gallerywithout first discussing another.